The Atlantic hurricane season takes place each year from June 1 to November 30, with maximum activity in early to mid-September. Hurricane hazards come in many forms, including storm surges, high winds, tornadoes, and flooding. It is imperative for families, businesses, and communities alike to have a plan that addresses all of these hazards. First off, as a homeowner, it is essential that you take action before a storm, not after. Here are four steps to help you prepare your home for a hurricane…. 1. Understand Your Roof and its Warranty – Read your roof’s construction and warranty paperwork. 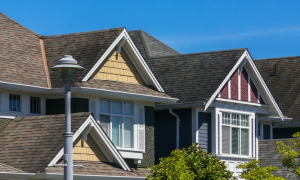 Understanding how your roof has been constructed is the first step to evaluate its current condition and determine if repairs or upgrades are required. Understanding the terms and conditions of your warranties may prevent you from making changes that will void the warranty. 2. Inspect – Look for potential problems on the roof. Loose or curled shingles, broken or missing tiles all warrant repair. Also inspect the flashing, drainage system, and accessories such as vents and skylights. Ask a trained roofing professional if additional reinforcements to the roof structure such as additional fasteners or hurricane clips are required. Leaks or breaks in seams around window trim and sills. Chipped or cracked stucco finishes. Mold, mildew, or rot in the walls, insulation, and electrical systems. Missing, cracked, or blistered paint inside the home. 3. Use the Right Products – If repairs are needed, don’t skimp on quality to save a few cents. Much of the damage associated with hurricanes and other serious storms results from water entering the home when roof coverings or siding is blown off. This is why it is imperative that you have a secondary layer of waterproofing protection underneath the shingles and siding. If proper protection measures are not taken, the resulting leaks are the main cause of interior damage, as well as potential causes of rot and mold. Rot and mold can lead to major structural damage and even potential health problems for homeowners. Roof: FEMA has published recommendations for the use of fully-adhered roofing underlayments, such as Grace Ice & Water Shield®, as an enhanced secondary water barrier for homes in both coastal and inland hurricane-prone areas. In the event roof coverings are blown off or water manages to get underneath your shingles, these underlayments are the key to preventing water infiltration. Check this infographic for stats on storms and selecting roofing underlayments for your home. Windows, Doors and More: Flexible flashings can be used to seal the most vulnerable spots, including windows, doors, corner boards, and other non-roof detail areas. Highly conformable, self-adhering waterproofing membranes form a weather-tight barrier around unwanted openings in the wall sheathing system. 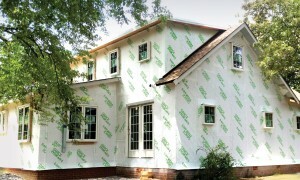 Check out this home waterproofing interactive guide for more guidance. 4. 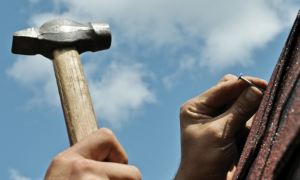 Find a Pro – Identify reliable, knowledgeable professionals that can perform work safely. It’s usually best that all inspections, maintenance and repairs are completed by trained and experienced people. You should demand that they use high quality materials. The amount of money you can save by selecting less expensive lower quality products is insignificant compared to the damage caused by water infiltration. You should find a trusted building professional to repair your storm damage so that you have a strong roof over your head, protecting your wallet and home from future storm damage. Have a question for David? Leave it in the comments below. David Baur is the Product Manager at Grace Residential Building Materials, a leader in commercial and residential building materials. For more tips and information please visit: www.graceresidential.com and www.graceprosintheknow.com.